The Legacy Stoves SF270 Boiler is a flexible and powerful heating option. An optional domestic hot water coil lets you supplement home heating with hot water, too. 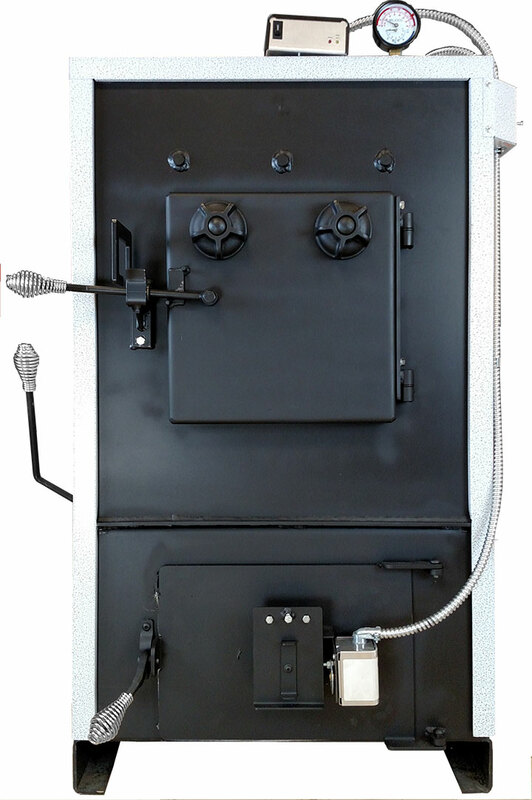 Forced draft fan option – boosts output to 180,000 BTU! New! High quality powder coat finish! New! ASME H stamp included! Heat output will vary depending on the type of fuel used. The flame and ember appearance may vary based on the type of fuel burned and the venting configuration used. Actual product appearance, including flame may differ from image shown. Refer to the Owners Manual for complete clearance requirements and specifications. Product specifications and pricing subject to change without notice. For testing and listing information please refer to the owners/installation manual. Ready to order this product?